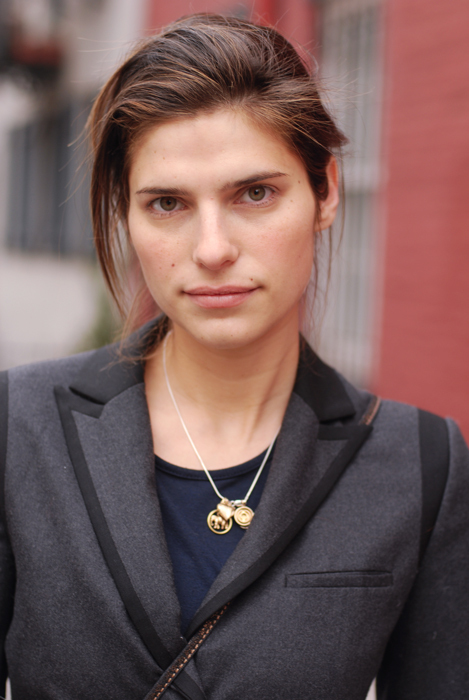 I love the blazer that actress Lake Bell is wearing in the above pictures. I found these pictures on Hanneli Mustaparta’s great blog. Lake Bell’s jacket is very well tailored with an interesting shape, especially the coattails! Bell teams the blazer with a pair of vintage tan boots, peek-a-boo woollen socks, fitted black mini skirt, simple jewelry and an across the body leather satchel. When the jacket is so fantastic, it’s best to keep rest of the outfit quite pared down. This is the perfect style inspiration for me. I don’t see how it could be done much better. I’m not surprised that the blazer was designed by Rag & Bone. Rag & Bone design remarkable clothes and they fit my personal style so well. Thanks for the style inspiration Rag & Bone, Lake Bell and Hanneli! This entry was posted in Fashion and tagged Actress, Blazer, Fashion, Hanneli Mustaparta, Lake Bell, Rag & Bone, Streetstyle, Style inspiration. Bookmark the permalink.